If you constantly find yourself setting goals and failing to achieve them, I highly recommend reading the book, "The One Thing" by Gary Keller. 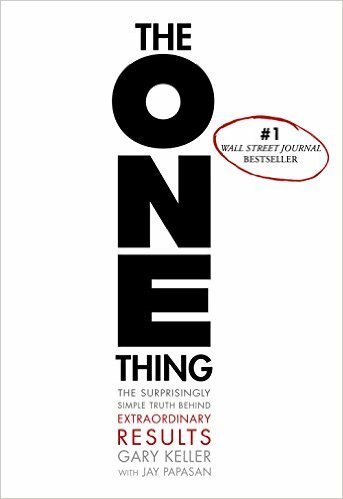 "The One Thing" does a great job of showing that super successful people aren't necessarily more productive than the rest of us because they do more stuff - they're just extremely good at focusing on "The One Thing" that will help them achieve their goals. Here is a simple way you can apply this principle to achieving your own goals: for everything you do, just ask yourself, "What's the ONE Thing you can do such that by doing it everything else will be easier or unnecessary?" When you're constantly asking yourself this question, you'll often find that tasks that you think are urgent actually don't matter and you'll focus your best energy on the important drivers that push you towards your goals. Get "The One Thing" here and see more at InvestmentZen. The Best 401(k) Plans: How Does Your Company Compare?